I traveled to the National Teacher of the Year conference in Scottsdale, Arizona feeling a great deal of excitement that was tempered by a bit of apprehension. Did I know everything that I needed to know? Could I thoroughly discuss educational policy if I needed to? Who would I meet? I would be spending the week with the other fifty-three state teachers of the year, but who would I really meet? Would they all be perfect teaching magicians? Would they be able to look at me and see that I wasn’t a magician? Would they be able to tell that I had been pinching myself to test the reality of being there with them? We met to the backdrop of a wonderful atmosphere created by CCSSO and NNSTOY. We met to the nurturing leadership of Jon Quam, Andy Drewlinger, and Katherine Bassett. We met in the spirit of what professional treatment looks like and feels like. We met to the echo of that resounding one-word mantra—“TEACH.” I could tell by the time we sat down at the first dinner that we were the same. We were not magicians, yet we hoped that the work we did each day would somehow be magical for our students. Yes, we represent the wonderful teachers in our own states, and we teach a variety of subjects. However, we all have a great deal in common. We are lifelong learners, not experts, but sponges who were there to learn about educational policy, about our roles as teachers of the year, about how we can go back and improve education in our own states, about our platforms, about ourselves. We learned about the power of present tense. Jon Quam taught us to proudly acknowledge our incredible honor when we introduce ourselves. He taught us to never, when our year of recognition is over, say “I WAS the 2014 teacher of the year.” See, that’s the power of present tense that we were taught. 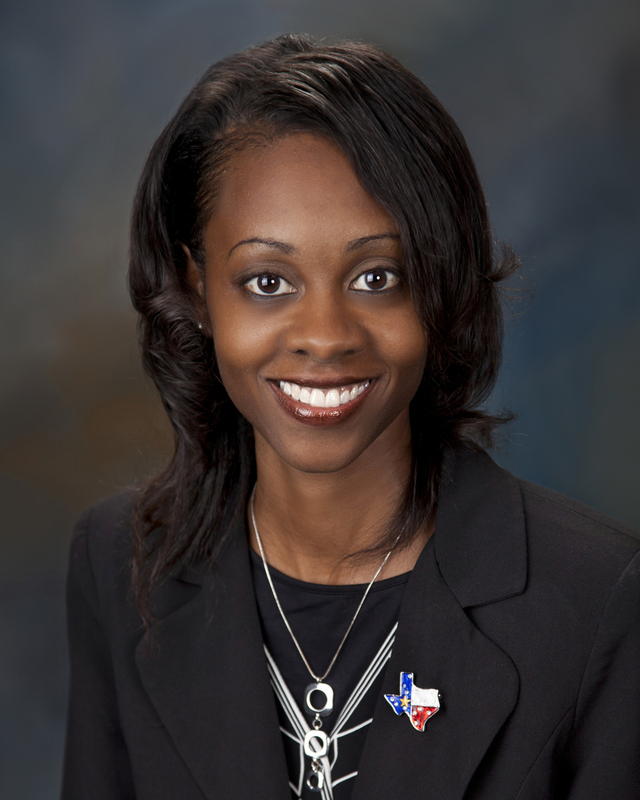 “My name is Monica Washington, and I AM the 2014 Texas teacher of the year.” In any support group, acknowledgement is the first step. Since we see ourselves as servants who are happy to work the background, we had to get used to that introduction, but by the end of the week, it felt less like a horn toot. We are more than “just” teachers. We should never tolerate anyone labeling us as “just,” and we certainly should not do that to ourselves. Our group of amazing supporters taught us well. Acknowledgement of our own honor is necessary because this honor is a tool for positive change. Yes, this conference was a beautiful week filled with support and the understanding that this guidance would not end with the conference in Scottsdale. We learned that we are in the midst of an incredible balancing act. There is excitement and guilt about being named teacher of the year. There is the exhilaration that comes with the incredible opportunities we each have, but the overwhelming feeling that comes with figuring out the path to being good representatives. By the end of the conference, we were also balancing the reluctance to leave our new friends and supporters with the realization that we have to go back and do the work. We have to teach. The National Teacher of the Year Conference ended with each state teacher being equipped with the tools to be successful in our own states. Thanks to this wonderful week, we are ready to speak to media and anyone else who inquires about our profession. We have great elevator speeches, and we have more clarity about what our platforms should be. We captured insightful quotes so that they could swim in our heads for later reflection. We learned that our service will never end. Most importantly, we learned about the power of present tense. So, to my fifty-three new friends in the 2014 class of state teachers of the year, now that you are back in your states, go BE because you ARE. Monica Washington is an English III and AP English III teacher at Texas High School and an adjunct professor at Texarkana College. She has been in education for sixteen years and has taught grades 7-12. She began her teaching career in 1998 in Memphis, TN and moved to Texas in 2007 with her husband Ricky, a native Texan who is also a teacher. She believes that a teacher’s greatest accomplishments are those things that cannot be typed on a resume or measured by statistical data: the ability to inspire, to mentor, to engage students are immeasurable but most vital qualities. The best teachers, according to Monica, are those who are students in their own classrooms—guiding students by learning and problem-solving with students. In addition, she has a passion for mentoring beginning teachers. She wants to demonstrate to all teachers the importance of building positive relationships with students to create a foundation for academic growth. She is honored to serve as the 2014 Texas teacher of the year as Texas has indeed been her place of growth.